Durham Region Realtor: WHY do you still need a REALTOR? Information, advice and observations on the Real Estate Market in Durham Region and the Greater Toronto Area; whether you are looking to buy, sell or just planning ahead. WHY do you still need a REALTOR? Are Realtors® as needed as they once were? With access to the Internet and the once excessively guarded information many buyers have asked…Do we still need a REALTOR®? Similar questions were asked of us all when the Internet first started posting information about houses, cars, and well most everything else. There was the rumour a decade or more ago that shopping malls will CLOSE. After all, who will go to a mall when they can shop online??? Did you go to the mall this holiday season? Yes, the internet is a fantastic resource. Whether you are 5 years old or 82 years old; checking out information for free is easily accessible on the net through your laptop, MacBook, Blackberry, Ipad, tablet, car dashboard, watch & even some refrigerators. The information is invaluable and it is fantastic to see so many educated and prepared sellers and buyers coming into the real estate market place. So, do you still need a Realtor® when you have all of this internet information at your fingertips? ...absolutely! 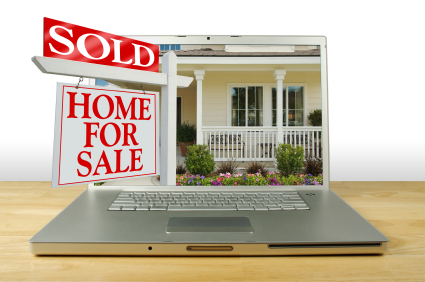 According to the National Association of Realtors (NAR), their 2010 profile of home buyers and sellers show 89 percent of homebuyers use the internet to search for homes and it does not diminish the use of professional realtors. Likely that number will prove to be even higher for 2011! The NAR profile stated that home buyers who use the internet to search are MORE likely to buy through a real estate professional. The typical buyer spends two weeks searching for homes before they contact a sales person and on average look at twelve homes during the process. While the internet is a wonderful tool that educates and communicates tons of information, this is only the beginning of the real estate process. It is even more enhanced with access to things like Google Earth so that one can check out the "hood". However, it is the Realtor® who steps in and pulls all the details together. Buying a home is more than looking at a pretty picture or a "you tube video" with instrumental music playing in the background that makes one think "Gee, I would love to live there". REALTORS® are trained professionals who guide you through a very complex process step-by-step. We assist in the search process, the legal forms, the pricing, multiple offers, the negotiation, the staging and photography for sellers , the screening of buyers, mortgage information and so much more. REALTORS® are there to help with the multitude of pertinent questions and answers with the resources to get you what you want, where you want and for what you can afford. That hasn't changed in decades despite the internet being a vital tool we all use in every aspect of our lives these days. For most people, this is the single largest investment of their lives. Finding someone you trust, someone with experience and someone who will get you the results is an important factor in protecting your investment! For the buyer there is rarely an agent fee. For the seller, it's been proven time and time again to net you more money in your pocket and the fee is not paid until your home is successfully sold! With world real estate markets still suffering, Canada and Toronto GTA in particular, are still active and extremely strong markets! Ask me how to help you...and we can blog, text, ping, tweet, email, SMS, google, BBM...until we get you exactly where you want to go! Linda has a passion for Life, Laughter and Real Estate! She is devoted to making a difference in peoples lives by connecting them with the right home. Ensuring your real estate experience is straightforward and enjoyable is her focus. Because Linda loves what she does, you can rest assured that you will be treated with professionalism, integrity and heart!